Bodyfirm Studios is now open under new management. We are delighted to offer Clients a full Pilates studio experience. We provide high quality sessions to groups, smaller classes, and on a one-to-one basis. Day, Evening, and Weekend Classes are available for your convenience in Mat & Reformer Pilates, Kettlebells & suspension training. 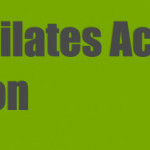 Sports/Remedial Massage and Physiotherapy appointments are available daily. Specialist and individual sessions include Injury Prevention, Treatment and Rehabilitation for Musculoskeletal conditions such as Back Pain, Neck Pain, Sports Injuries and Pre- and Post-Natal Care. 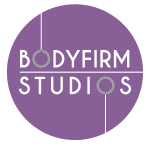 We look forward to welcoming you to Bodyfirm Studios.